Are You Waiting to be Perfect Before You Start Your Blog? Are You Waiting to be Perfect? Many of us wait to be perfect before publishing. Others are afraid that what they create will be judged as more of the same or they have nothing that will be seen as meaningful or insightful. Some are afraid of making a mistake. You will never get it just right and yes, you may be judged as being redundant, even superficial and a copycat. You are not alone… I hear that conversation all the time. What is stopping you? Is it the fear, is it that you have so many passions and interests that you don’t know which one to choose. Time to pick one? Maybe it is time to step up and step out into the light. Any journey requires starting…. despite your fears and just placing one foot after the other, building an online house a brick at a time and creating a blog word by word. It means having “a go” despite judgment and criticism, and on the social web that will happen. If you saw my first articles on this blog (and I am not going to provide a link for you, they are so embarrassing), then you would understand that starting means imperfection and being prepared to be vulnerable. Be courageous then the opportunities will be revealed in time. True bravery is willing to be “you” despite stones being thrown and criticism turning up in your blog comments. That is part of the journey. Seth Godin even struggles with this (he turned his blog comments off). But he still started and keeps publishing. If you don’t start then nothing will happen…. it is that simple. Many of us also don’t know where to start and this blog’s goal is to help people start, learn and grow as a personal and business brand in a world that is defined and controlled more each day by the social web. Want to publish your ideas? Start a blog! Want to market your business or personal brand? Learn the art and science of social media marketing. Want to be seen as a thought leader or expert in your field then you need to create content, publish it on a blog and promote it on social media networks, apply email marketing and make it easy for search engines to find you. This is what will happen if you start and learn to do it well. 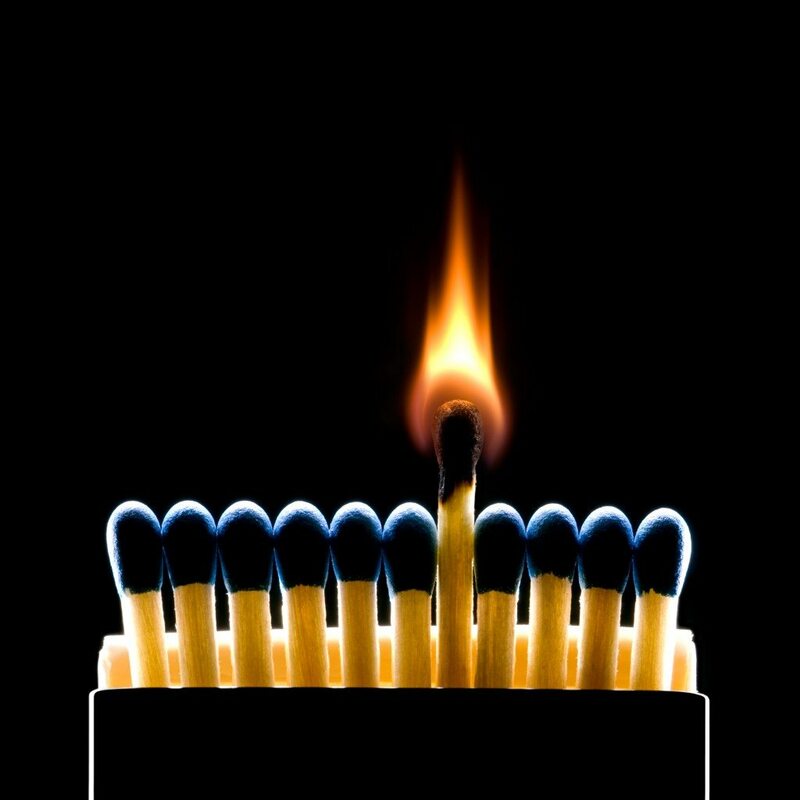 Are you ready to start and have a burning passion to grow? Want to make a difference? You need to lay the foundation for your online presence and brand. I don’t know of any better way to do that than with a blog or website that allows you to take your message to a global audience. You couldn’t do this 5 years ago without either paying millions of dollars for mass media advertising, or having access to the movers and shakers in government and business. In the past you needed deep pockets and access to social and business networks that required decades of wining and dining. Blogging, Facebook, Twitter and social media networks have removed the barriers and gatekeepers control to accessing your target audience at a global scale. Building a platform and creating contagious content that can be shared for free by the crowd on social networks is your path to success and lifestyle freedom. Blogging used to be the online personal diary where you kept pictures of your dog, cat and travels. It was for the geek. As publishing has moved from offline to online and the importance of print diminishes more every day the blog has become the knowledge, idea and content cornerstone. It needs to “searchable” and “Googleable”. Today’s “visibility” is not obtained by locking up your content on parchment, in filing cabinets or offline hard drives. Becoming a well known thought leader is not achieved with one article published in a newspaper or industry magazine. Content needs to be free to roam. Here are the key steps to take you from offline anonymity to online recognition. Identify your passion, purpose and innate abilities. Do this and the energy required and the work that is needed will seem like play. The challenge in a stadium of 500 million websites who are trying to gain attention and visibility is standing out. You need to take your brand from bland to memorable. Blog and website marketing is sustainable if you need to pay for it. You need to enlist the leverage of social networks to crowd source your marketing for free. So develop a marketing plan that will supercharge your traffic and brand awareness that taps into free and low cost marketing tactics. This also will need to include the other two pillars of digital marketing, email and search engine marketing. Laying the foundations for an easy to maintain blog platform is essential for online asset building. Development of a blog site you own on your own domain that allows easy content creation and easy sharing on social networks such as Facebook and Twitter. WordPress meets these requirements. Hosting that is robust (operates 24/7) and loads quickly. Learn how to create contagious content that brings people back and creates loyal fans. This needs to be in variety of media. Creating a global blog that has traffic is one thing but you need to have something to sell. There are many ways to make money online. Here are 11 ways to monetise a blog. Starting is one thing and marketing is another. The final piece of the puzzle is to learn how to maintain the motivation and momentum to ensure you succeed. Are you waiting to be perfect? What is stopping you? Are you still looking for that special moment to strike, that lightning bolt of inspiration or don’t know what to create and publish?